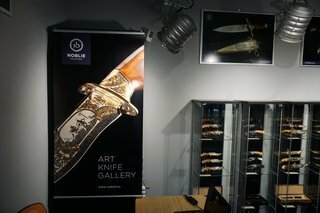 Specially selected and entirely handmade, the artistic knives and edged weapons from the collection NOBLIE represent the harmony of style and vision in metal works that makes them real pieces of art. These magnificent items are made in one single copy. They are created by traditional methods for processing and decoration of metal. 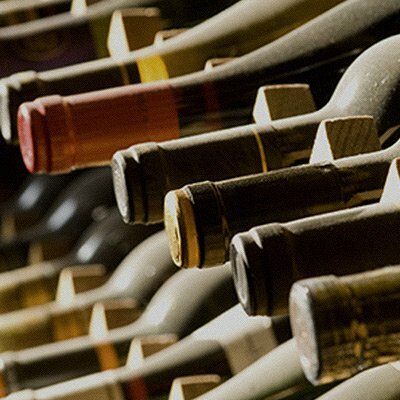 The implementation of valuable materials increase their high aesthetic and material worth. 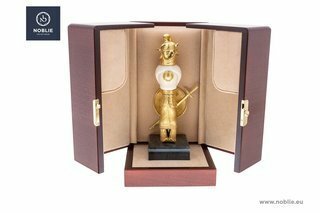 The exhibits are suitable gift or reward for proven and successful men. 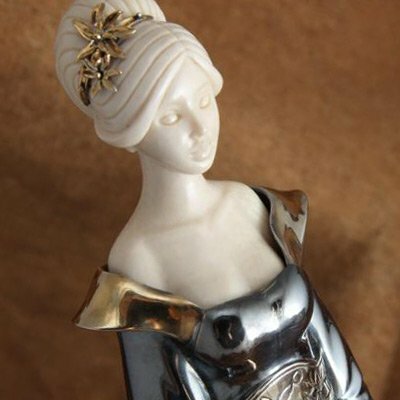 With their grace and beauty you may impress your friends, partners or other collectors. 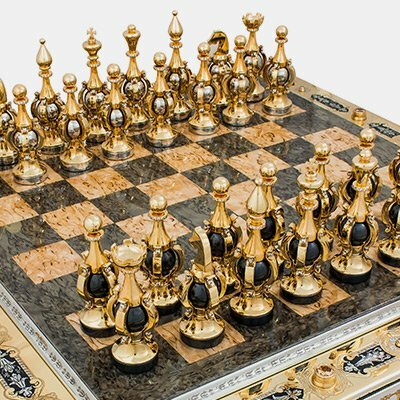 The splendor and representativeness of the exquisite items from the collection NOBLIE add high style in communicating the highest business, diplomatic and state level. The making of every one of our hand crafted weapons is a process of artistic project realization. 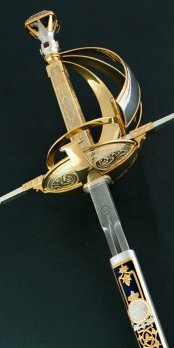 Depending from the design, shape, model and decoration it takes long time from beginning to final stage to be produced an artistic edged weapon. It starts with designers, who make the sketches of the new weapon and invent and develop the concept; then the draft design is submitted to a collection examination by the art council. The model is manufactured of plasticizer for making article prototype. When the artist comes up with a successful specimen model, he endeavors to develop several ornamentation options for it. The fertile creative fantasy of the artist gives rise to a great variety of works of art. 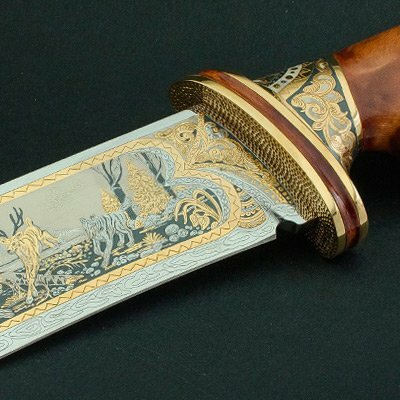 A high skilled craftsmen work with metal and wood to manufacture the blade, grip and scabbard and when the article is ready, the blade is polished and sharpened. 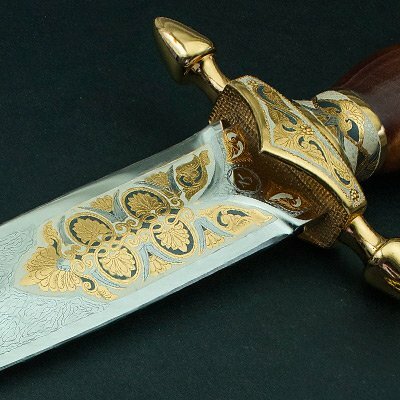 The weapon blades are made from high-grade stainless steel or from Damascus steels. The finished article is then brought to other workshop for discussion. The article is dismantled into components. 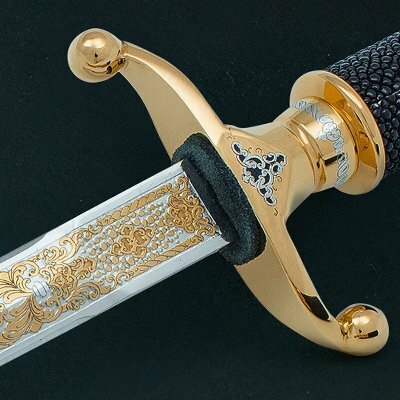 Professional fitters, engravers, artists, polisher, and jewelers are supervised by the designer of the weapon and perform all the ornamentation and related task-metal engraving, nickel-plating, gilding, final burnishing. We invite you to visit the stand NOBLIE at the exhibition. The 21st C.I.C. 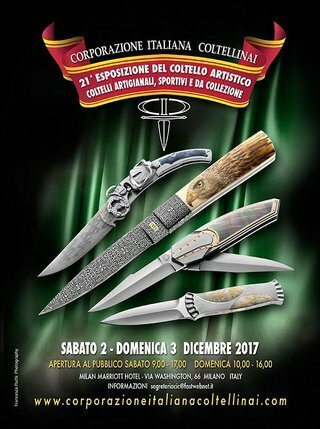 knife show will take place on Saturday and Sunday, 2-3 December 2017. Milan Marriott Hotel, via Washington, 66, Milan, Italy. The luxury goods with the brand NOBLIE bear their own noble aesthetics and are-self-evident in their artistry and craftsmanship. In this catalog, our precious pieces of art are displayed in their full splendor to all art lovers.